Want a free ringtone? Audiko.net! 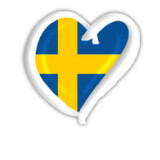 It’s easy to download a free Swedish ringtones for your iPhone or mobile. Go for your favorite trim from your favorite audio track - Swedish House Mafia - Greyhound Vs Axwell Λ Ingrosso - We Ca, Conor Maynard covers | Swedish House Mafia - Don't You Worry, Yiruma x Swedish House Mafia x Tiesto - River Flows in You (, or any other track. Depending on a phone model, you can have your ringtone both in the MP3 and m4a formats, played by both mobile phones and iPhones. Just select a track, and choose free Swedish ringtones download option.